James is a senior solicitor in the Commercial Property Team, whose experience covers a broad spectrum of commercial property matters. 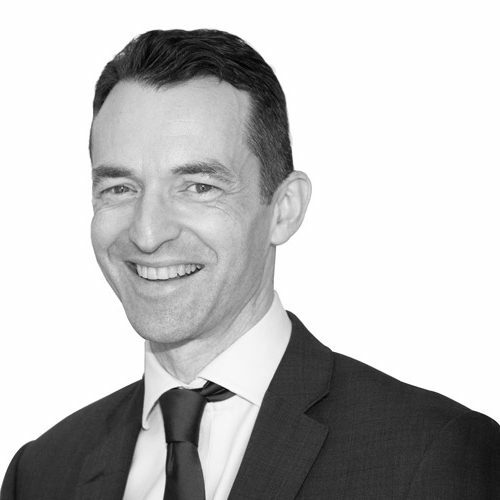 James regularly acts in property sale and acquisition matters for developers and property investment clients and has a particular specialism in landlord and tenant work. He also acts for banks and other lenders seeking to take security over commercial property. Acting for an international food retailer in the acquisition of sites for development as supermarkets. Development work, including site assembly. Advising on related issues arising from conditional contracts, option agreements and pre-emption rights. The purchase and sale of investment property. Advising on commercial landlord and tenant matters in relation to a diverse range of properties, from local corner shops to multi let commercial units and trading estates. Managing property portfolios on behalf of investor clients. The sale, purchase and letting of licensed premises. Providing property support to commercial matters, such as share purchase transactions. Advising on the property aspects of academy conversions. James works out of our Durham, Darlington and Stockton offices.